The future composer was drafted by the Ottoman army in World War I and played in the military orchestra until he was exiled to Diarbekir, where he fell gravely ill. He was sent to Aleppo, and he was there when the armistice was signed in November 1918. Along with other surviving intellectuals, Ganachian gathered young people and organized concerts to the benefit of the exiles, creating a wave of enthusiasm in the audiences. At that time, he composed the “Volunteer March” (Կամաւորական քայլերգ/ Gamavoragan kaylerk), better known as “Harach, Nahadag” by the first words of its lyrics, written by poet Kevork Garvarentz. He later went to Cilicia, where he also gave concerts, and then returned to Constantinople. In the Ottoman capital, the Gomidas students organized a group and presented concerts, created a Gomidas Fund and published Gomidas’ works in three songbooks. They also organized choirs and dealt with the education of the new generation. Ganachian composed his well known “Lullaby” (Օրոր/Oror) for soloist and choir. The composer passed away on May 24, 1967, in Beirut. 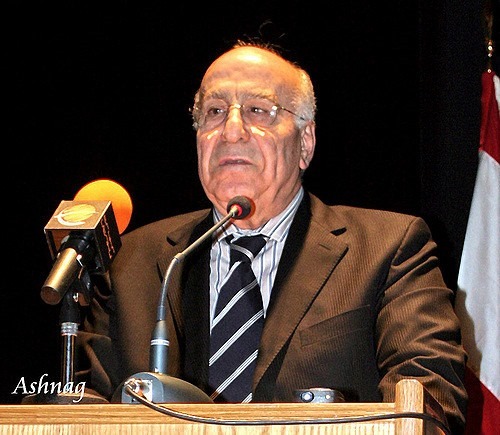 The Armenian cultural association Hamazkayin established an arts institute carrying his name in Lebanon. A school also bears Ganachian’s name in Yerevan. This year is the 160th anniversary of the birth of composer Kristapor Kara-Murza, introducer of choral music in Armenian culture. He was born on March 2, 1853 (February 18, according to the old Julian calendar) in the town of Gharasu-Bazar, currently Bielogorsk, in the Crimea (Ukraine). He started to play piano and flute at age 8 and also took private lessons from music teachers in the town. He developed his abilities to read and write music. He was just a teenager when he started to organize and offer concerts. He moved to Tiflis, the capital of the viceroyalty of the Caucasus, in 1882, and then to Baku from 1885-1892. He was the editor of musical criticism for the daily Mshak, edited by Grigor Artzruni. Kara-Murza offered the first concert of choral music in Armenian history, with a program of patriotic songs, at the theater founded by Artzruni in Tiflis. This was a novelty, as Armenian music was fundamentally written on a one-voice basis, as opposed to European four voices (polyphony). During the next seventeen years, until his premature death at the age of 49, the composer organized some 90 choral groups in fifty cities of Armenia and outside the country, including Tiflis, Baku, Etchmiadzin, Nakhichevan-on-the-Don, Odessa, Batum, Moscow, Kars, Shushi, Constantinople, and others, and gave more than 250 concerts with the participation of 6,000 people. Kara-Murza’s most important achievement was the collection of Armenian religious and popular songs, and their musical arrangement and conversion into polyphonic music. In 1887 he premiered his arrangement of the Divine Liturgy in a concert in Baku. He taught music at the Kevorkian Seminary of Holy Etchmiadzin in 1892-1893, and later settled back in Tiflis, where he gave special courses to musical conductors. He also composed songs with lyrics by Armenian poets, as well as music a cappella, and also arranged operatic melodies. He presented in Baku fragments of Faust, the famous opera of French composer Charles Gounod (1818-1893), in Armenian translation. Kara-Murza arranged 300 choral and popular songs, among them such classics as “Dzidzernag,” “Zinch oo zinch,” “Kezi mernim,” “Khorodig,” “Lepho lele.” He also composed and transcribed popular dances, and became the precursor to the modern song and dance ensembles. 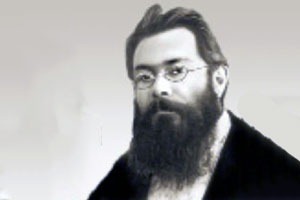 In recent years, Kara-Murza has been credited with the composition of the music of the song “Mer Hairenik,” with lyrics by Mikael Nalbandian (1829-1866), which he premiered in Tiflis, in 1885. His music was the basis for the arrangement by Parsegh Ganachian (1885-1967), one of Gomidas’ disciples, which is performed today as the Armenian national anthem.